Want to see all the technologies used by edwardjones.com? Edward Jones is a full-service financial services firm offering a complete range of investments and services to individual investors. 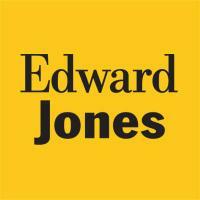 If you think Edward Jones is like every other large investment firm, think again. We are a leader in the financial-services industry, but we take a personal approach to business, an approach that starts with a face-to-face meeting between a financial advisor and client. For a quick look at additional technographic info on edwardjones.com or any domain on the web, download our Chrome Extension. Check out our help article to see how Datanyze Insider can help you.